Whether you’re a huge corporation or a small start-up, effectively communicating with your employees is perhaps one of the most important aspects of running a business. The best conference call services on the market today include Zoom, GoToMeeting, Lifesize, Webex, UberConference, BlueJeans, and Join.me. This is because of their impressive sound quality, feature-rich platforms, and interoperability across operating systems. Take a look at our list below and get your business communication needs taken care of. Free vs Paid – Free conference call services are good when you need a simple solution, fast. However, they often suffer from terrible audio and video quality, and offer few – if any – added features like polling and annotating. Paid services are designed for companies that really need to communicate effectively on a regular basis. Audio and video quality – Having a good camera and microphone is one thing. But some softwares boast better audio and video quality than others. Make sure your conference call service can display at least 1080p video and HD audio to get the full experience. Connectivity – Unless you want to endure dropped meetings and frozen screens, you need to make sure your conference call service has a reputation for reliability. Feature catalogue – Depending on what you need a conference call service for, you might need to know exactly what kind of features are being offered. Many services provided added options like polling and annotating, often at an additional price. Customer support and setup – Make sure to take note of the customer support options for each service, particularly if you’re new to these platforms. Some offer 24/7 assistance, while others are a bit more hands-off. Software integrations – Many conference call services can integrate with calendars, note-taking apps, and other softwares, helping them connect with your virtual ecosystem. Device compatibility – Conference call services are often paired with mobile apps, but not all of them work on both popular operating systems. If you use iOS or Android exclusively, make sure your conference call service is compatible. Now that you understand what a good conference call service looks like, it’s time to decide which one will work for you. Below, we’ve reviewed the ten best conference call services available in 2019. 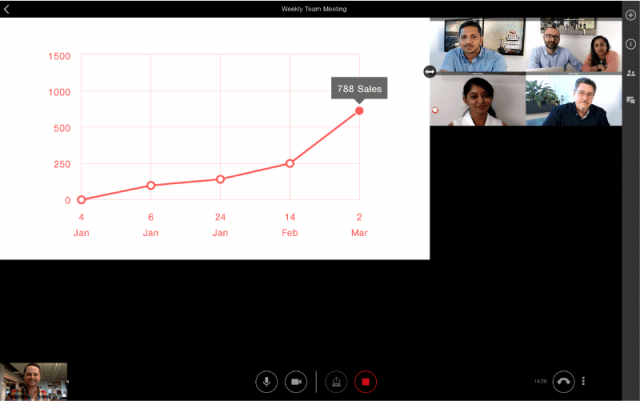 New to the conference call service game, Zoom has been turning heads since its founding in 2011. 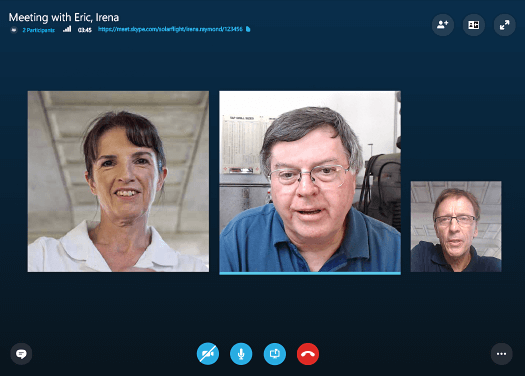 This reliable and easy-to-use software makes conference calls as easy as sending a link to potential participants via email. In addition to standard video conferencing and IM messaging capabilities, Zoom comes with a number helpful features that bring your team together. 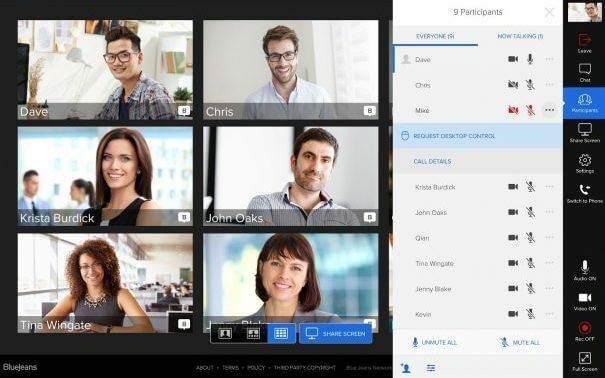 You can conduct marketing events and town hall meetings with their video webinar function, collaborate with coworkers with their patented Zoom Rooms feature, and add dozens of apps to the software for additional functionality. Some reviewers have complained that the audio quality is not perfect, despite the HD audio status. Other than that though, Zoom boasts one of the more affordable, comprehensive conference call services on the market. Despite Zoom’s rookie status in the world of conference call services, this company has shown that experience doesn’t always translate into a quality product. The easy-to-use interface, combined with the low price and plentiful features, easily makes up for any audio quality problems you might have. 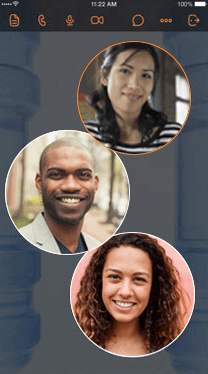 If you’re looking for a reliable conference call service with years of experience and plenty of conference calls under its belt, GoToMeeting is the software you need to look into. Since 1997, GoToMeeting has become one of the most recognizable names in conference calling, with 18 million users hosting 80 million meetings every year. With HD video, clear audio, and enough helpful features to keep everyone on track, GoToMeeting is an industry standard for a reason. The simple interface, combined with an easy-to-use layout, makes it a no-brainer for everyone in the office. Most notably, this software provides unmatched compatibility with a wide range of devices, from mobile to PC to Mac. The only downside is that GoToMeeting is missing a few advanced features that really add to the conference call experience. You can’t share video, you can’t take polls, and and video meetings get capped at six sessions. GoToMeeting is a very reliable conference call service that will get the job done, and not much else. It’s a bit basic, but if you don’t need all those bells and whistles, the high quality audio and video are more than enough to keep your team connected. When a conference call service is trusted by the likes of Netflix, Yelp, LinkedIn, eBay, and Major League Baseball, you can rest assured that they know what they’re doing. Lifesize makes conference calling convenient with secure lines, helpful features, and an award-winning app. 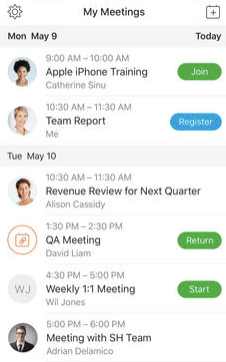 Not only will you be able to utilize video and audio technology to connect with team members, you’ll also be able to save and share meetings with other coworkers, configure your calendar into the platform, and keep track of how employees are using the software with in-depth reporting. Plus, with 24/7 customer support, any issues that arise can be solved immediately. While it’s hardly the reason you’re enlisting a conference call service for your business, chat functions in Lifesize do leave a lot to be desired. But again, that should be far from a deal-breaker. Crystal clear audio, stunning video resolution, and unmatched integration capabilities make Lifesize a go-to conference call service for any sized business. If you’re not already using a program like Slack and are looking for an added chat function with lots of features, you’ll probably want to move on. Otherwise, Lifesize is the video conference call service you need to succeed. Find out more about web conferencing today – starting with a free no-obligation price quote. Any conference call service run by a company as large and as reputable as Cisco has got to have the technology figured out, and do they ever! This robust software is filled with all the added features you could possibly imagine, and then some. You can poll conference participants, receive and answer questions in the platform, share files in an instant, annotate shared documents in presentation mode, and even facilitate break-out and follow-up meetings directly after a larger conference call. All this, combined with stellar audio and video quality, makes Webex a great choice for conference calling at your business. 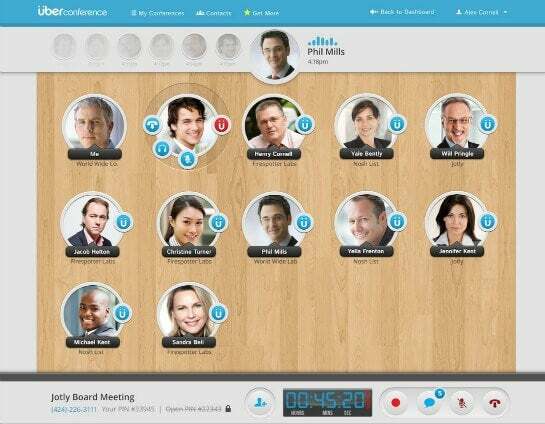 Webex is a safe bet if you’re looking for a seriously robust conference call service. You won’t find more features in any software on this list, and its resources provide all the assistance you need to make it work for your company. Not to be confused with the popular ride-sharing app, UberConference is a basic, easy-to-use conferencing platform designed with everyone in mind. There are no PIN codes, no downloads, no added fuss to get into a meeting – simply create a link, send it around, and bam, you’re set up with a meeting. The free version of UberConference is quite comprehensive, but the paid version comes with a few added benefits, including custom call-in numbers, detailed analytics, international access, and a team management portal. Plus, you’ll be able to customize your hold music, with Rick Astley’s “Never Gonna Give You Up” as one of the options. UberConference does, however, struggle with working in a wide range of browsers. Reviews have indicated that attempting to work outside of Google Chrome – in Internet Explorer, for example – will cause issues. Considering most people use Google Chrome anyway, UberConference really is a great option for anyone looking to keep it simple in conference calls. It doesn’t come with a lot of features, but the ease of use will make your more technologically daft employees very happy. The whole point of setting up a conference call service at your company is to be able to actually communicate, and you can’t do that without quality audio. This is where BlueJeans truly shines, as its audio technology is powered by Dolby Voice. This software is equipped with features like background noise-cancelling and consistent volume levels on any device. Additionally, BlueJeans comes with features like one-click scheduling and easy screen sharing, so you won’t waste any time when it comes to setting up meetings. You’ll also be able to integrate apps like Facebook Workplace, Microsoft Teams, Skype for Business, and Slack for a more complete conferencing package. Some reviews, however, have insisted that BlueJeans suffers from the occasional connectivity problem. To combat this, make sure you always have the most up-to-date version, as reviewers have cited this as the primary issue. BlueJeans is a great conference call service if you’re looking to save time in your day-to-day schedule. Most of its features are designed to speed up the process, which makes sense for growing businesses. Just watch out for those connectivity issues, which will certainly slow you down. A customizable conference call system isn’t necessarily a priority, but it’s what Join.me offers you that others don’t. You can get a specifically tailored URL to each meeting, and even customize the meeting background for a certain feel. In addition to those unique features, you’ll get the standard features that make a conference call system work, like easy screen sharing, presentation capabilities, and high quality audio powered by OpenVoice Integrated. Join.me does come with a mobile app for Android and iOS devices, which functions quite well. However, reviews have shown that the desktop functionality is far from perfect, so make sure you have mobile options ready for your team. Join.me isn’t the most well-known or most comprehensive conference call service, but it certainly has its perks, namely customizability and quality audio. If these two factors are important to you, Join.me is absolutely worth taking a look at. 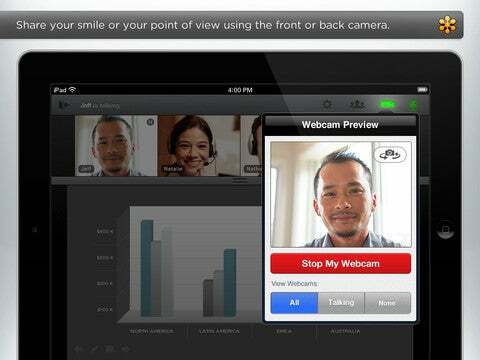 If you’ve ever video chatted with someone, then you’ve likely heard of Skype. This company is synonymous with conference calling, and provides a surprisingly comprehensive platform given its non-existent price tag. However, while it does offer some unique features like AI-powered chatbots and compatibility with Alexa devices, the free package simply doesn’t support enough users to be practical for growing business. For example, you can only conference with ten people at once. For a free option, Skype obviously does a great job of providing a robust conference call service. However, it’s not a great option for businesses, as it doesn’t allow many users or conference participants. 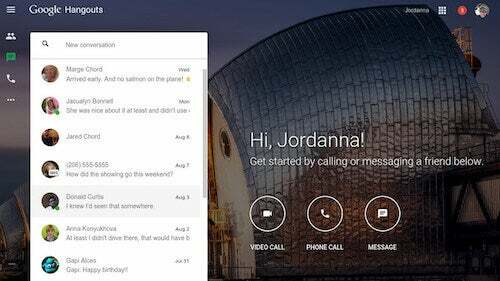 As perhaps the standard for businesses unwilling to shell out resources for a paid conference call service, Google Hangouts certainly performs admirably for a free alternative. Its compatibility with Gmail and Google Calendars gives it an automatic leg up on any competition. Free services have their limits, though, and Google Hangouts is no different. Connectivity problems run amok, particularly with video chats hosting multiple users. Audio quality also suffers compared to the paid services, and any noise-cancelling technology is nowhere to be found. You can’t deny that Google Hangouts is a great, convenient option when you need to talk to your team. But if you really need to communicate on a regular basis, you’d be a lot better off with a service that focuses on audio quality and solid connectivity. FreeConferenceCall.com, as their name might suggest, is another free conference call service. 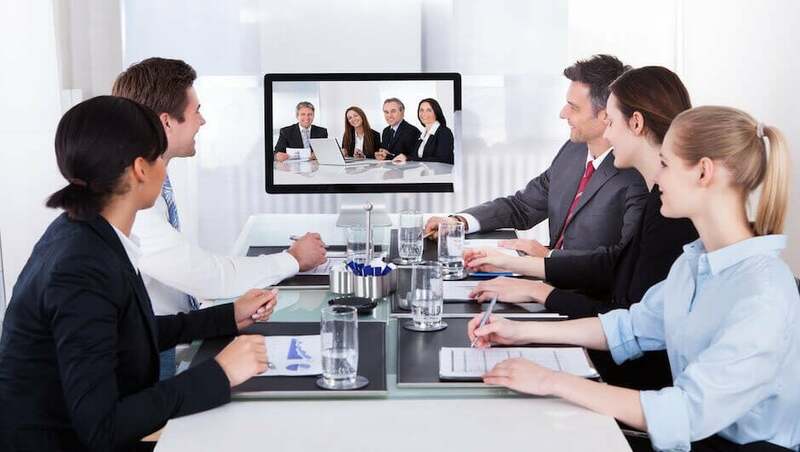 It offers all the typical audio and video conferencing functions, including screen sharing, recording, and even drawing tools. However, while the FreeConferenceCall.com website insists that “the best things in life don’t cost a thing”, that’s not necessarily the case when it comes to conference call services. It doesn’t offer advanced features like polling and annotating capabilities, and the number of users is limited in the way most free services are. Again, as far as free conference call services go, ConferenceCall.com is pretty solid, with a lot more features than you’d expect out of an unpaid service. But there are some key features missing, so make sure you can do without them before you decide. Free conference call service options are always available. However, free services aren’t built for large scale use. They are feature-limited, small-scale solutions with unreliable video and audio quality. They are bare-bones software with few features and fewer users allowed at once. Can Google Hangouts do conference calls? Yes, it can! 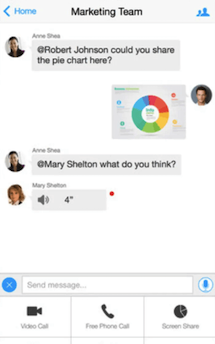 The free version of Google Hangouts can host audio conference calls for up to 150 people, and video calls for up to 10. However, as mentioned above, their audio and video quality can be a bit spotty in comparison to paid services, so don’t rely on it for your business’ communication needs. How can I improve my conference call? Other than having a rock solid service with high quality audio and video, reducing ambient background noise and speaking directly into the microphone are two handy tricks that can make your conference call go a lot smoother. If you’re experiencing echo feedback, either you or another caller has their volume too high; muting participants or turning down the volume will fix the issue. How can I get a conference call number? Most services produce a conference call number once you’ve set up a meeting. Simply choose the date and time, invite your participants, and start the conference call. You’ll be provided a conference call number or PIN to share your meeting with other participants. How many calls can be connected in a conference call? It all depends on which service you you decide to take advantage of – with the right service, you can conference in thousands of attendees. If you’re a large company that needs to reliably communicate with a lot of employees at once, it would definitely be worth taking a look at some more robust conference call options. If you’re interested in setting up conference calling at your business, the most important thing you can do right now is get a quote. You’ll be able to get a better understanding of the costs of these kinds of services, and be on your way to a more comprehensive system. Compare prices in less than a minute, and find the best deal based on your specific business requirements with no obligation to buy. Plus, thanks to Tech.co’s thorough review process, you’ll know for sure that you’ve got the best options when it comes to a conference call service. Alternatively, if you want more than just a way to set up conference calls easily, check out the best VoIP phone providers. You’ll be able to get set up with secure, modern business calling equipped with conference and mobile integration, and a whole lot more.